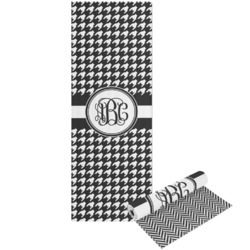 Go to your yoga class in style with your very own personalized yoga mat! Keep yourself motivated by creating a fun design! Our yoga mats can be printed on one side or on both! Either side has a bumpy texture to give a little grip to the mat. The mat is made from PVC and rubber, giving it a squishy or foamy feel. It is less dense than some yoga mats with about 1/4" thickness, which makes it quite lightweight and easily carried. The yoga mat is approximately 24" x 72", making it the perfect size for a yoga or exercise mat. This particular mat is best for "dry" yoga practices unless you have a yoga towel on hand. The mat may get slightly slick during any intense workouts that cause extreme perspiration. If you decide to create a double sided yoga mat, the bottom may have some slight slippage due to the ink. Keep in mind, though, that yoga mats often become stickier and have better grip the more they are used. For storing, make sure you let your mat dry first. Put away rolled with the design facing inwards (unless of course your mat is double sided, in which case it does not matter). Keep your yoga mat in a dry cool space to keep it in top condition. When cleaning, use any mild household cleaner (alcohol based is best) while avoiding using any solvents. Tea tree oil can also be used in moderation. 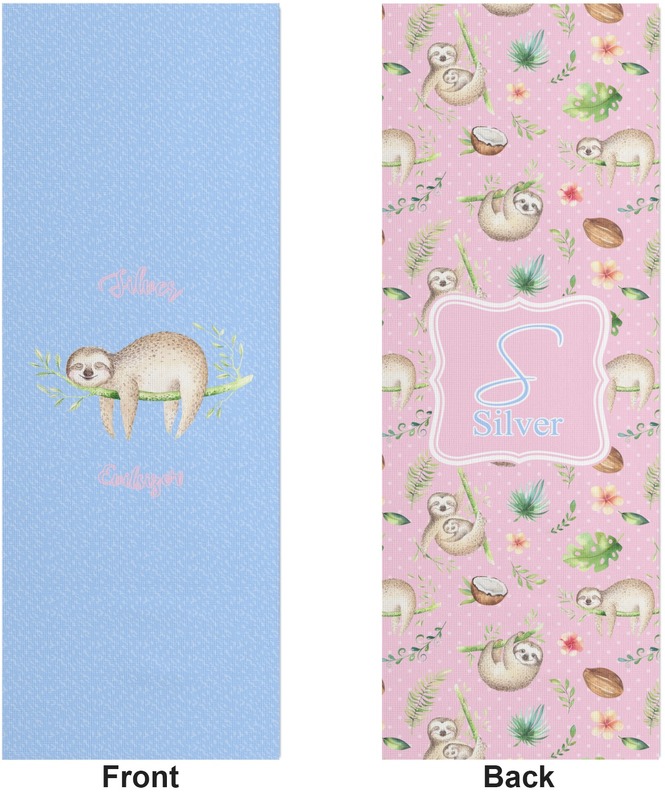 Have fun picking the perfect design for your yoga mat! We have multiple yoga related designs and fills within our system, as well as thousands of other fills and patterns to choose from. You may choose to do a double sided yoga mat or simply a single sided design with a white back. Even design it vertically OR horizontally! Choose every part of your design from patterns to graphics to text. Personalize your yoga mat in every way to make it fit your personality! If you need a towel for no slippage or gym bag to take extra clothes, check out our Yoga Hand Towels and Yoga Canvas Tote Bags!